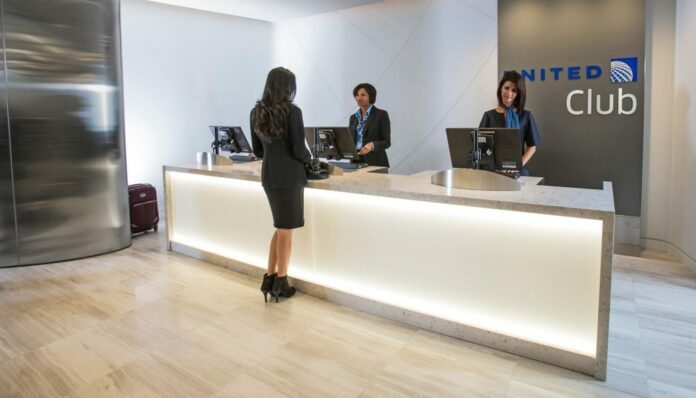 A Reddit user has submitted an email that just showed up in their inbox from United stating that the one-time use passes that you get from being a United MileagePlus Explorer card holder will now be delivered electronically. Before this new development MileagePlus Explorer card holders would receive their passes in the mail in November and expire at the end of the following year. 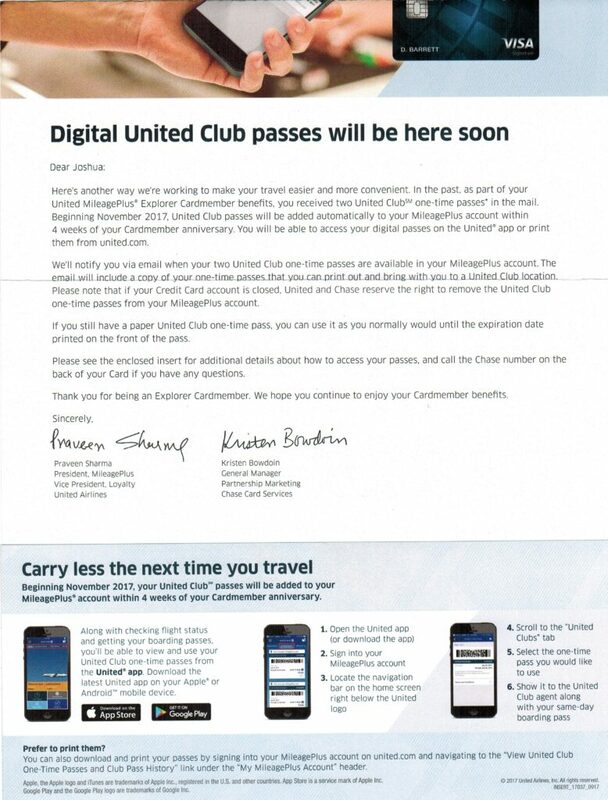 According to the email the passes will be available digitally in your United account and you’ll be able to print out the one-time passes whenever you want to use them. For some of us that aren’t the primary users of these passes but give them away to friends this still sounds like you can do that. You’ll simply now just redeem the pass from your United account. United seems to be making this move really as a cost cutting measure to save the cost from printing and mailing all the one-time use cards. The only negative effect is that if you cancel your MileagePlus Explorer card United now reserves the right to remove the passes from your account, which gives them the advantage of taking those passes if you have any unused. The only problem I foresee is people who resell their United Club passes online, now that it’s just a piece of paper it may be more susceptible to scamming. The passes that used to come in the mail were something that you couldn’t replicate easily, now it’s as simple as printing out a piece of paper. For the average user this change is great, no need to file or keep away the passes for when you’re ready to use them. For someone who resells them this might make it more difficult to validate them to buyers. And for buyers it’s going to become more risky to verify if they’re real.